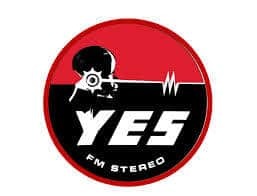 Yes FM 101 Sri Lanka Radio Live streaming Online . Listen over 60 Sri Lanka FM Radio Stations live Streaming Online . Enjoy Live Stream of Srilanka Music News 24 by 7 Online . ALL FM stations Plays well in Google Chrome or Mozilla Firefox browsers . Scroll to see play pause buttons . Please install Adobe Flash player to listen this station . It was Founded on November 3, 2005 . Disclaimer: None of the FM Radio stations in this Website are broadcast by Us.We get the Latest Stream URLs and Update them with Proper Plugin and make them available for You.If any Violation of Copy Rights is noticed please Contact us by clicking the Contact Us button.We will remove the respective from Our Directory.